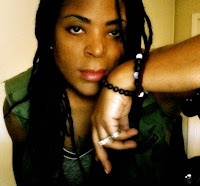 LESLIE CUNNINGHAM, Producer/Director, is an independent filmmaker, artist, writer, journalist and founder of TRIBES Entertainment, an award-winning digital media and production company based in Durham, North Carolina. Leslie is an artist with a critical eye and a unique viewpoint. She approaches all of her projects with a style and precision that yields engaging, thought-provoking and professionally executed media. Driven by a passion for storytelling, Leslie is a graduate of The Center for Documentary Studies at Duke University with a Certificate in Documentary Arts. Her debut feature film documentary, M.I., A Different Kind of Girl (2012), was selected for such film festivals as the 2014 Gender Reel film festival; The 2012 North Carolina Gay and Lesbian Film Festival and Atlanta’s 2012 Out On Film. M.I. also paved the way for more projects that would educate, entertain and feature provocative subjects and subject matter. As Owner and Creative Director for TRIBES, Leslie brings this wealth of industry knowledge to her client, film and journalism work. Contact Leslie at lesliecunninghampro@gmail.com. ALANA JONES, Co- Producer/ Writer, is an entertainment journalist, writer, social critic, and editor for TRIBES Magazine. Also passionate about ‘the stories people tell’, Alana has more than six years of experience in film production, with a focus on story development. Alana’s film credits include “An Evening with Gloria Steinem,” along with coverage of other community and arts events for public television in the Triangle. A graduate of Duke University’s Trinity College, Alana’s work is grounded in cultural anthropology with a special interest in the arts, contemporary American racial politics and African-American cultural history.